These transactions may have been marked “Billable” in error. Now, you want to remove all, not one by one. 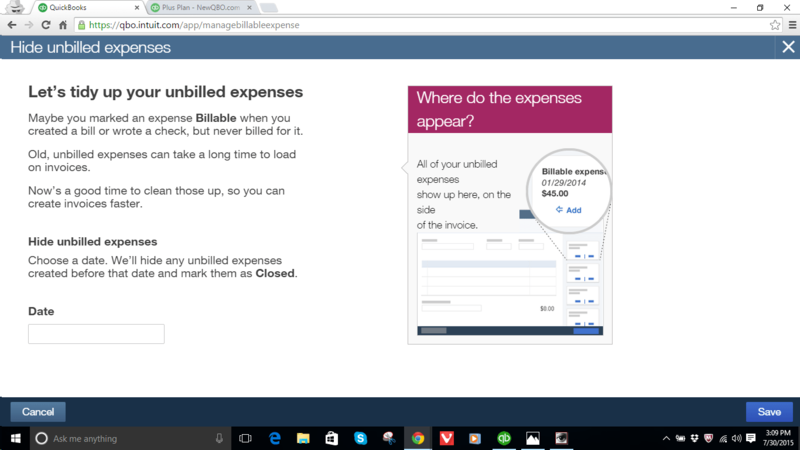 When you are in QBO logged in, type this URL http://qbo.intuit.com/app/managebillableexpense and it will remove all “Unbilled Charges” in QBO prior to that date. Run “Unbilled Charges” Report (from blue navigation bar on the left > select Reports > Go to report > type Unbilled Charges). You will need to delete one at a time. Double click to open original entry form > more (located bottom middle) > select Delete. Is it possible to see which expense transactions don’t have a scanned receipt attached to it?